Within the last decade or so, the marketing landscape has changed tremendously. 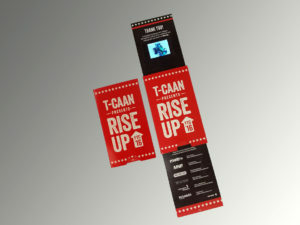 Traditional outreach in the form of catalogues and printed post cards has given way to email blasts and digital ads as consumers increasingly spend their time online. This change in consumer behavior means that we, as marketers, must also alter the way in which we produce content for the companies and the brands we represent. Not only do we need to be more intentional with the stories we tell, but we must become more strategic in how we tell them. 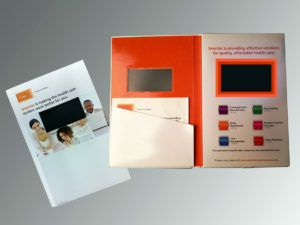 Aetna used this dynamic video brochure to send information about its “smarter” healthcare solutions to consumers. The inside of the brochure featured a video screen with 6 buttons underneath it. By pressing each button, consumers could watch a video and learn more about each of the different solutions offered by Aetna. What are you waiting for? Click here to Get in touch with Information Packaging and let’s figure out how to take your marketing to the next level. What are you waiting for? Get in touch with Information Packaging and let’s figure out how to take your marketing to the next level.